Subs: Charlie Marshall, Lewis Dalton, Joe Hillerby, Aaron Foley and Liam Gibson. The grounds staff had worked miracles on the pitch to get it playable after the recent weather conditions. Town would wear their black and white striped shirts whereas Thornaby would wear a blue and white strip. Jack Proctor won the toss and chose to play right to left in the first half. Thornaby hoisted the ball into touch from the kick off. Mattie Crossen took the throw and Town were on the offensive with Aaron Ramsbottom to the fore. Town were awarded a free kick at the edge of area which Shaun Hudson feigned to take but Chris Dickinsons kick just cleared the bar. Stephen Jackson was on the right wing with Shaun Hudson on the left. Charlie Graham announced he was back when he combined on the overlap with Shaun Hudson but the move was read by the defender. Chris Dickinson turned up on the right but his centre was over hit. Aaron Ramsbottom was fouled and Town were awarded a free kick which Chris Dickinson took but first Shaun Hudson fell over and then Jack Proctor stood on the ball. Josh Keogh took a corner on the left but when he was sought with another ball it cleared his head and sailed into touch. Josh Keogh was prominent in the next Town attack. Tom Dawson saved low down to his right. He had to race from goal to kick into touch as a Thornaby player raced through. Aaron Ramsbottom was clattered in a challenge. Charlie Graham found Aaron Ramsbottom with a rolled out ball from Tom Dawson. Shaun Hudson brought the crowd to life with surging run up the wing. Town were playing the better football but had yet to have a shot on goal. Dale Elgie took a free kick from the centre circle and failed to find Stephen Jackson on the left wing. Chris Dickinson found Stephen Cheeseman with a rolled ball at the edge of the area but his sweetly struck shot went just wide. Stephen Jackson was the jam in a sandwich in midfield and won a free kick. It was still scoreless at half time with neither team really troubling the keepers in the first half. It would be all to play for in the second half. No changes were made at the break. 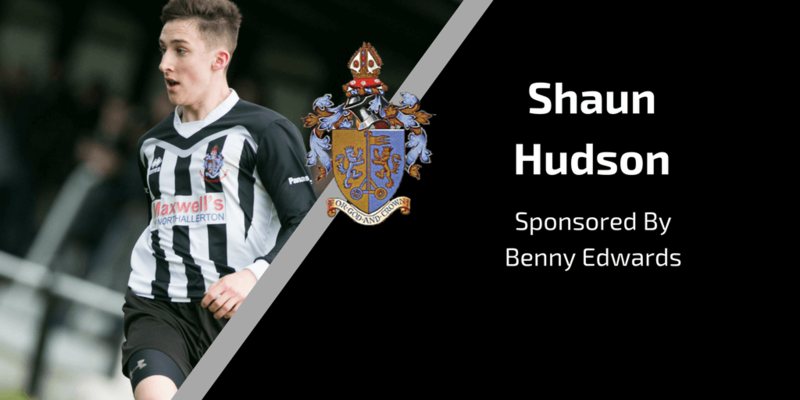 Immediately from the off Shaun Hudson went on a forceful run, fed Charlie Graham but his ball to the back post just edged past the lunge of Stephen Cheeseman. Tom Dawson took a free kick from midway inside his own half and the ball went out for a goal kick. Town were over hitting the balls to the front players. Josh Keogh fed Charlie Graham who sped down the wing before missing the chance to go ahead. Chris Dickinson raced in on goal and when the ball came back to Shaun Hudson, his effort ended up over the bar. Liam Jarvie replaced Stephen Jackson. In the 63rd minute Liam Jarvie fed Shaun Hudson who weaved his way inside before bending a shot into the goal to give Town the lead. The lead only lasted two minutes when a challenge by Dale Elgie saw the referee award Thornaby a penalty which Callum Hannah stepped up and scored to put the game level. Nicky Martin and Colin Anderson replaced Chris Dickinson and Josh Keogh. Aaron Ramsbottom took a bad knock and had to leave the field, Chris Dickinson took the free kick. In the 74th minute Thornaby took the lead when Joe Hillerby turned his run and ran past Tom Dawson before firing into an empty net, Shaun Hudson was cautioned as passions flared from both teams . Tom Dawson pulled off a one handed save, which stopped the visitors getting a third. Town had not played to their potential on the night and had only showed their full potential in patches. It was a rare defeat at home for Town. 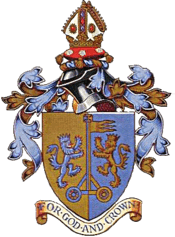 Thornaby are returning to Town on 31st Janauary in the NRFA Senior Cup QF.